There’s a bird in my yard I’ve never seen before. How can I find out what it is? 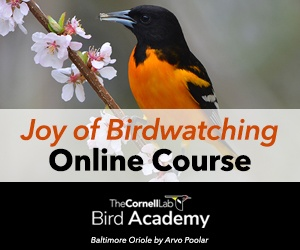 Using the four keys to bird identification can help ID birds. Here, a Red-eyed Vireo flashes its characteristic red eyes. Photo by Scott Keys via Birdshare. Birders try to take notes about these four features, and some sketch or photograph the bird as well to help make an ID. How does this tell us what the bird is? By looking at the bird’s shape, we can get an idea of what family it belongs to. Might it be a duck? A woodpecker? How is the bill shaped? Long or short, stout or thin, straight or curved? If another bird is nearby, we look at relative sizes. Is our bird sparrow-sized? Smaller than a robin? Larger than a crow? And we look at the shape and size of various features, compared to other features on the bird itself. Are the wings long? Do they extend to the tip of the tail? Is the beak long compared to the bird’s head size? Then we look at overall colors and special patterns. Does it have wingbars? An eye-line? Streaking on the breast or back? We’re also paying attention to the bird’s behavior. Does it walk or hop on the ground? Flit out from a tree, grab a bug and flit back? Is it visiting a feeder? Is it alone or feeding with other birds? If it vocalized, what did it sound like? Habitat is also important. Is the bird in deep forest, expansive prairie, open woods, a marsh or swamp? Your location will also be an important clue to help rule out bird species not found in your region during that time of year. Now look in a field guide and try to find your bird. This can seem exceptionally frustrating when you’re just starting out, and often your bird will disappear before you’ve even come to the right page. That’s where taking notes can help. You can also try to identify your mystery bird by using our free Merlin Bird ID app. The Merlin app asks a series of questions, like where you are located and the colors of the bird, and then gives you a list of possible birds you may be seeing. The Merlin photo ID tool can also ID a bird in a photo—so snap a photo if you can, upload it to Merlin, and your mystery bird should be identified. If you have some guesses about your bird’s identity but still aren’t sure, take a look at the All About Birds Online Bird Guide for additional clues about appearance, behavior, and sound. Even if you don’t find this bird, don’t get discouraged. Little by little, you’ll learn various species, and every time you search through your book you’ll grow a little more familiar with where the different species are grouped, making you quicker to find the next one. I’m seeing fewer birds in my yard. Is something affecting their populations? I've seen a sick House Finch with red, swollen, or weepy eyes. What's wrong with it?